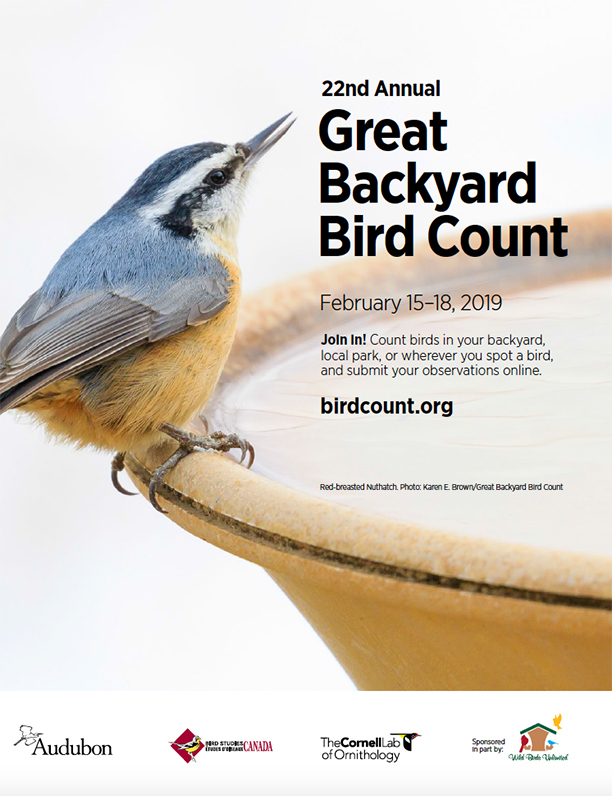 Launched in 1998, the Great Backyard Bird Count was the first online citizen-science project to collect data on wild birds and display the results in near real-time to create an annual snapshot of the distribution and abundance of birds. Will you participate? 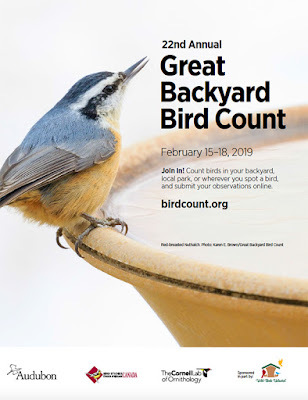 On February 15-18, 2019, simply tally the numbers and kinds of birds you see in any location, anywhere in the world, for at least 15 minutes! • How will the weather and climate change influence bird populations? • Some birds, such as winter finches, appear in large numbers during some years but not others. Where are these species from year to year, and what can we learn from these patterns? The Great Backyard Bird Count is powered by eBird. The count is made possible in part by founding sponsor Wild Birds Unlimited.